Magic of Dividends - The Real Return !!! Ever come Across Following Phrases? - Our Company has given 33% CAGR Returns in last 30 Years. How are you all doing? Hope you are all compounding wealth peacefully and steadily. Apart from the Google Group & MMB, recently, I have been connecting with Investors in Twitter which is a wonderful platform for quick updates. I hope, through these channels, anyone can connect with me at ease and we can have good discussions. If you like the collective work below, please take a moment and to Like & Retweet this link so that many more of your followers can also benefit. 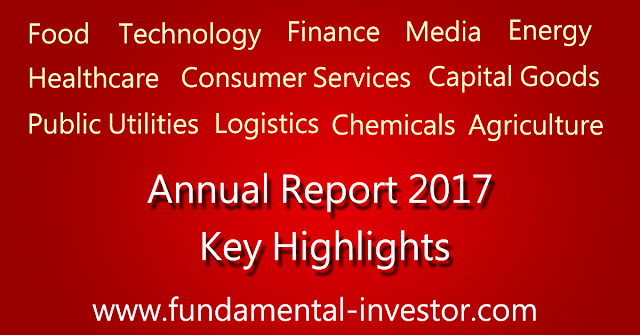 Click on the below Box for Annual Reports FY 2017 Key Highlights. Please share the link to your circles on Emails, Whatsapp Groups, Twitter, FB etc so that more and more investors can read, understand, benefit and maybe help by contributing some more Notes. Every week, Ill be updating you with more and more companies prepared by Friends and Investors. Enjoy the Read. Let us know you thoughts.